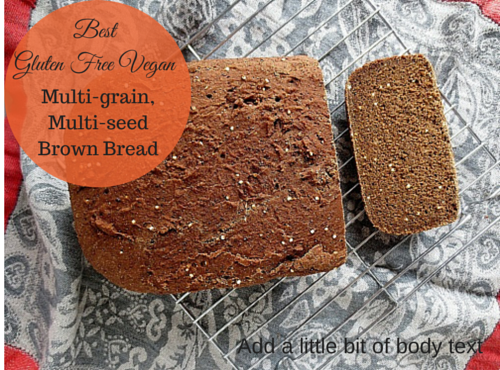 A year ago a posted a recipe for Gluten Free Multiseed Multigrain Sandwich Bread. 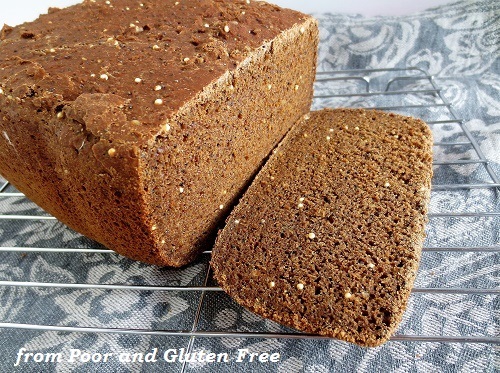 It was one of the first gluten free bread recipes I'd ever made, and I'd added all kinds of seeds and nuts and mixed flours to make it delicious, and healthy. Since then that recipe has received over 6,400 views! So thanks everyone, I hope you enjoyed it! It's still one of my all-time favourite recipes. But it has one hitch - it calls for eggs and milk powder. I don't mind so much, but others do. And since I buy free-range eggs - which are more expensive - I like to preserve my eggs when I can! So the other day I was out of eggs AND bread, and decided it was time to try and convert the recipe... and it worked!! And guess what? 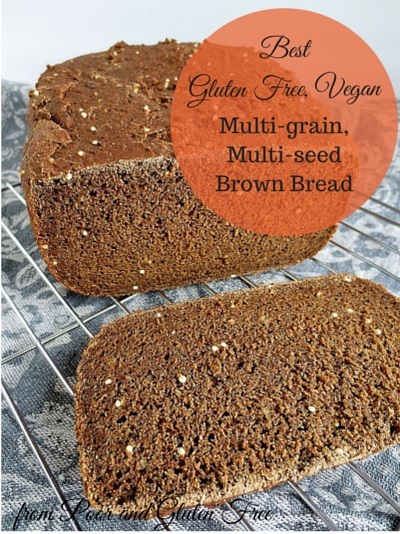 This version is xanthan gum free, too!! Do you have a favorite vegan, GF bread recipe? Link it up in the comments if so! this sounds really yummy! I will have to try it sans breadmaker for you! If you do, please let me know how it turns out! I'm pretty sure it would work out fine, I just haven't tried it yet.